Texas is one of 10 community property states. Debt created during marriage in Texas is presumed to be community debt. Texas depends on a 4-step test to determine spousal liability for debt. Texas is one of 10 community property states. You may have liability for your spouse’s debt even if you knew nothing about it. Texas community property law for spousal debt is tricky, so do not assume you must pay your spouse’s debt automatically. A separate law called the doctrine of necessaries may obligate you to pay your spouse’s debt in Texas. If you are married and reside in Texas, you need to understand if you must pay your spouse’s debt. This article focuses on a spouse’s debt liability, but there’s much more to Texas’s community property law than this. See Texas Family Code Title, Subtitle B. § 3 and Some Principles of Texas Community Property Law (PDF) to learn how Texas law handles divorce, spousal rights, and credit applications. Many courts in community property states assume the rents, profits, and issues of separate property remain separate. The fruits of community property are community assets. If a spouse claims that a certain property is separate, it is up to that spouse to prove the property was acquired with separate funds or separate credit. For example, the fact that both spouses sign a mortgage does not mean the property cannot be shown to be acquired with separate funds. By contrast, separate property is property acquired before marriage, and property acquired by a spouse during marriage through gift, inheritance, or an award for personal injury damages. Texas is a community property state. The Texas Constitution states that all property, both real and personal, of a spouse owned or claimed before marriage, and that acquired afterward by gift, devise, or descent, shall be the separate property of that spouse (Tex. Const. art. XVI, §15). All other property acquired during a marriage is presumptively community property, subject to a premarital or marital agreement. Special community property is property under the management of one spouse. General community property is under the joint management of both spouses. Special community property is the term applied to property acquired during a marriage by a couple living in a non-community state, after which the couple later moves to Texas. In Texas, a debt is either the husband’s responsibility, a wife’s responsibility, or the responsibility of both the husband and the wife together. When it comes to spousal debt, Texas courts depend on a four-step process to determine which assets — community or separate property — are liable for a spouse’s debt. 1. Whose debt is it? Debts can be the debt of the husband, the wife, or both spouses. A spouse’s separate property, special community property, and joint community property are liable for that spouse’s debt. 2. When was the debt incurred? Debts incurred before the marriage are tricky to analyze. A spouse’s separate or special community property is not available to the other spouse’s creditors for torts or contracts that arose before marriage. Similarly, a spouse’s separate or special community property is not available for the other spouse’s contracts during marriage — except for "necessaries" (Texas Family Code § 3.202(b)). Special community property is available for the other spouse’s torts (Texas Family Code § 3.202(d)) More on this ahead. Before marriage, Texas resident John created $20,000 in credit card debt. After the wedding, John could not pay the debt, and the credit card issuer sued John for breach of contract, and won a judgment against John. The judgment-creditor cannot touch his wife’s separate or special community property. However, Texas law allows the judgment creditor to obtain a wage garnishment for a part of his wife’s wages, because wages are considered community property. 3. What type of debt is it? Debts are either tortious (the result of a lawsuit) or contractual. If the liability is a tort debt incurred during the marriage, the other spouse’s special community property is also liable for the debt while the other spouse’s separate property is exempt. If the debt incurred during the marriage is contractual, the other spouse’s separate property and special community property are exempt from the debt unless the other spouse is personally liable under other rules of law. "Joint-management" community property is subject to all tort or contract liabilities of either spouse, whether the liability arose before or during marriage, which makes it the most vulnerable type of marital property (Texas Family Code § 3.202(c)). During her marriage, Texas resident Karen created $15,000 in credit card debt in an account in her name alone. Karen could not pay the debt, and the credit card issuer sued Karen for breach of contract, and won a judgment against Karen. Her husband's separate property and special community property are exempt. Texas law allows the judgment creditor to obtain a wage garnishment for a part of her husband's wages, because wages are considered community property. 4. Are there any other substantive, nonmarital rules of law that would make one spouse personally liable for the debts of the other spouse? If the other spouse is liable because of the applicability of these other rules of law, that spouse’s separate property and special community property are liable for the debt. Essentially, all non-exempt assets of the husband and wife would be available to satisfy the debt. Struggling with debt you or your spouse have difficulty paying? 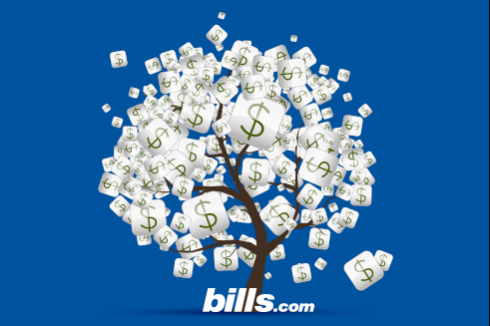 Contact one of Bills.com’s pre-screened debt providers for a free, no-hassle debt relief quote. Consult with a Texas lawyer who has family law experience to learn more about Texas community property law. If you cannot afford a lawyer, contact Texas Law Help or another Texas pro bono program to find low- and no-cost legal services. Husband or wife liable for debts of other incurred before marriage? Tricky to analyze. See the the discussion "When was the debt incurred" above. Husband or wife liable for debts of other incurred during marriage? Depends on the nature of the debt. See the discussion "What type of debt is it?" above. When do spouses become subject to state community property laws? When the spouses are married and domicile in the state. Does the state recognize common law marriage? Yes. To qualify, spouses must cohabit in Texas, agree to be married and represent that they are married. Parties to a common law marriage must obtain a divorce or annulment to terminate the marriage. Does the state recognize some from of domestic partnership as an alternative to marriage? No. Does a domestic partnership under state law create community property rights and obligations? Not applicable. When does the community property regime terminate (causing subsequently acquired assets or future income to no longer be characterized as community property)? Change of domicile, death, decree of divorce or annulment. How is post marital income generated from separate property (e.g., rents, dividends, interest) characterized? Community property. How does the state characterize appreciation in the value of separate property? Separate property. If community property funds are used to acquire or improve the asset, when the marriage is terminated by death or divorce, a claim for economic contributions exists. How does the state characterize property taken by spouses under a deed reflecting that the property is held in joint tenancy? Depends on source of funds used to acquire property. Community property remains CP unless a written agreement to partition is first executed. Otherwise property is CP with a right of survivorship. Property purchased with separate funds may be held as joint tenants, with undivided 1/2 interest being separate property. How does the state characterize property taken by spouses under a deed reflecting that the property is held in tenancy in common? Community property, unless a written agreement to partition is executed. Property purchased with separate and community funds is owned as tenants in common. Does a deed taken in the name of one spouse as sole and separate property create separate property? Only if the deed also contains a recital that the consideration was paid from separate funds of that spouse. If so, the property is then presumed to be separate. Does the state recognize pre or post marital property characterization agreements? Yes. What are the property characterization agreements called? Premarital and marital or post nuptial agreements. Are property characterizations agreements required to be in writing? Agreements must be in writing. Are property characterization agreements valid against creditors? Yes, unless existing creditor's rights are intended to be defrauded by agreement. What property is available to satisfy a premarital federal tax obligation assessed against only one spouse? All separate property of liable spouse, 100% of joint management community property, 100% of liable spouse's sole management community property, and 50% of nonliable spouse's sole management community property. If a homestead is involved, contact counsel. What property is available to satisfy a post marital federal tax obligation assessed against only one spouse? All separate property of liable spouse, 100% of joint management community property, 100% of liable spouse's sole management community property, and 50% of nonliable spouse's sole management community property. If a homestead is involved, contact counsel. Texas residents who deal with a spousal debt question must know community property law and the doctrine of necessaries to understand their liability for a spouse’s debt. Texas’s doctrine of necessaries law is not part of community property law, but it may be very important to you. Under Texas law, each spouse has a duty to support the other (Texas Family Code § 2.501). If you fail to meet this responsibility, you may be held financially liable to any third party who provides your spouse with food, shelter, or other assistance necessary for daily living (Daggett v. Neiman Marcus Co., 348 S.W.2d 796 (Tex. Civ. App. Houston [1st Dist.] 1961)). This law applies equally to both husband and wife. Texas courts will typically look at the financial situation of a couple to determine what a necessary is. In Texas, necessaries are those things that are suitable to the spouse’s "station in life" (Crooks v. Aero Mayflower Transit Co., 363 S.W.2d 191 (Tex. Civ. App. San Antonio 1963)).